Below you fill find all funeral homes and cemeteries in or near Ankeny. Suburbs of Ankeny: Carney, Lundstrom Heights, Oralabor. Ankeny is also known as: Polk County / Ankeny city. Their current mayor is Mayor Gary Lorenz. Zip codes in the city: 50021, 50023. Some of the notable people born here have been: Jeff Lamberti (politician), and Jessica Keenan (actor). Ankeny is a city in Polk County, Iowa, United States. The population was 45,562 in the 2010 census, an increase of 68% from the 27,117 population in the 2000 census. It is part of the Des Moines–West Des Moines Metropolitan Statistical Area. It was written by Des Moines Register on March 31st, 2019 that James Q Beatty passed on in Ankeny, Iowa. Beatty was 94 years old. Send flowers to express your sympathy and honor James Q's life. It was disclosed by Des Moines Register on March 29th, 2019 that Charles Earl Baugous passed away in Ankeny, Iowa. Baugous was 86 years old and was born in Dakota City, NE. Send flowers to express your sympathy and honor Charles Earl's life. It was written by Des Moines Register on March 24th, 2019 that Mark Block passed on in Ankeny, Iowa. Block was 67 years old and was born in Great Lakes, IL. Send flowers to express your sorrow and honor Mark's life. It was noted by Des Moines Register on March 24th, 2019 that Terrance Vernon "Terry" Pinckney perished in Ankeny, Iowa. Pinckney was 65 years old and was born in Minneapolis, MN. Send flowers to express your sympathy and honor Terrance Vernon "Terry"'s life. It was reported by Des Moines Register on March 21st, 2019 that Gilbert N Sr Yannuzzi perished in Ankeny, Iowa. Yannuzzi was 91 years old. Send flowers to express your sorrow and honor Gilbert N Sr's life. It was reported by Des Moines Register on March 17th, 2019 that Maureen Beth Prindle (Brazzell) passed on in Ankeny, Iowa. Ms. Prindle was 65 years old and was born in Bismarck, ND. Send flowers to share your condolences and honor Maureen Beth's life. It was written by Des Moines Register on March 14th, 2019 that James Disney passed on in Ankeny, Iowa. Disney was 64 years old. Send flowers to express your sorrow and honor James's life. It was written by Des Moines Register on March 12th, 2019 that Sheryl L Eckhardt perished in Ankeny, Iowa. Eckhardt was 71 years old. Send flowers to express your sympathy and honor Sheryl L's life. It was revealed by Des Moines Register on March 10th, 2019 that Marguerite Reynolds (Spencer) passed away in Ankeny, Iowa. Ms. Reynolds was 95 years old. Send flowers to express your sympathy and honor Marguerite's life. It was disclosed by Des Moines Register on March 10th, 2019 that Joshua Suhr died in Ankeny, Iowa. Suhr was 41 years old. Send flowers to express your sorrow and honor Joshua's life. The Ankeny Chamber of Commerce estimates that the city's population will reach 55,000 by 2020. . It is part of the Des Moines, Iowa Moines–West Des Moines, Iowa Des Moines Des Moines metropolitan area Statistical Area. It is also known for being the birthplace of Slipknot (band) custom percussionist Chris Fehn. Ankeny was founded by John Ankeny in 1874 and was incorporated on February 28, 1903. Ankeny is a city in Polk County, Iowa County, Iowa, United States. The population was 27,118 at the United States Census, 2000 census, while a special census taken by the city in 2005 counted 36,161 residents. 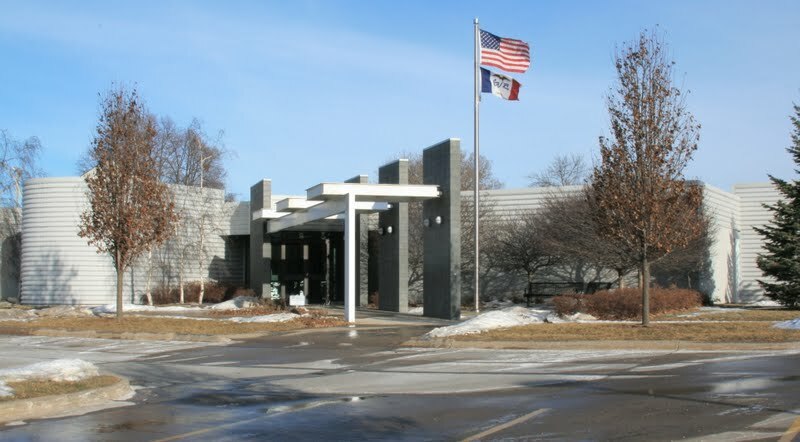 The official website for the city of Ankeny is https://www.ankenyiowa.gov/. at Ankeny Funeral Home. Visitation will be one hour prior to service time. A private graveside service will be at Iowa Veterans Cemetery in Van Meter. Memorial contributions may be directed to Ralphs family. Ankeny Funeral Home is handling services. Find funeral directors & Funeral Directors in Ankeny, IA. Read business reviews, find driving directions, and more. funeral directors on YP.COM. Listing all funeral homes in Ankeny, Iowa so you can easily send flowers to any location (same day delivery) or find any funeral service. Ankeny Funeral Home is located at Ankeny IA. Phone: 515 964 2503. Post a message or leave a review for Ankeny Funeral Home. We work with local florists and flower shops to offer same day delivery. You will find budget sympathy flowers in Ankeny here. Our funeral flowers are cheap in price but not in value.